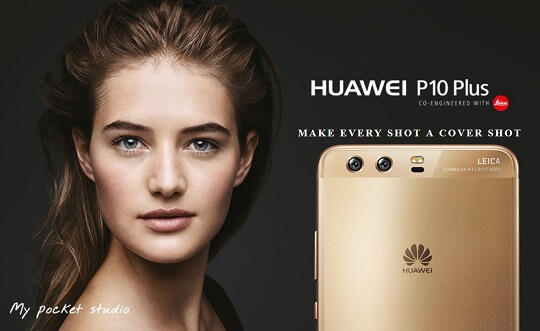 Continuing the tradition of the P series, Huawei also unveiled the bigger and better sibling of its newest flagship offering, the Huawei P10 Plus. The Huawei P10 Plus offers the same screen size as its predecessor, but packs more pixels in its display - 2560x1440 pixels or commonly known as Quad HD, which results to a density of 540 PPI, far higher than the 401 PPI of the previous generation. On the inside, it is powered by the same machinery found on the Huawei Mate 9, that is the HiSilicon Kirin 960 octa core processor, but this time around users can opt to choose 6GB RAM + 128GB ROM combination aside from the 4GB/64GB combo. In terms of imaging capabilities, it has 3 Leica cameras - two on its back and one in the front. The rear-mounted shooters have the same sensors and resolutions to that of the Huawei P10, but uses a wider f/1.8 aperture, while the selfie snapper remains the same. Other than this, most camera features are identical. The other upgraded hardware worth mentioning are the slightly bigger 3,750mAh battery, and the 4 LTE antennas for the so-called 4.5G that brings up to 600Mbps connection through 4x4MIMO. Price wise, the lower storage handset comes with 699 euros, while the 6GB/128GB model will set you back 799 euros.